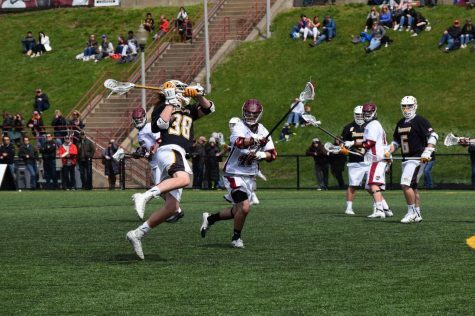 The Towson and Hofstra men’s lacrosse teams played a thrilling a double overtime affair on Saturday night. The Tigers (6-3, 2-0 Colonial Athletic Association) came away victorious in the match, as they outlasted then-No. 20 Hofstra, 10-9. 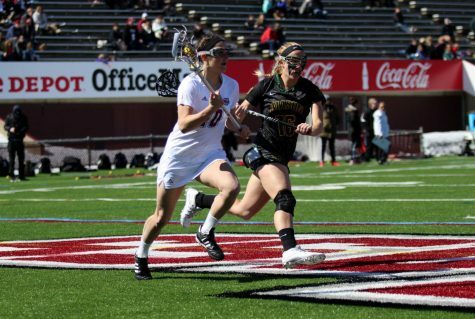 With 11 minutes remaining in the fourth quarter, the game looked all but over, as the Pride (4-5, 1-2 CAA) held a commanding six-goal lead over Towson. However, the Tigers came storming back with five straight goals to the cut the deficit to one with just over two minutes remaining. They notched the game-tying goal with two seconds left and sent the game into overtime. 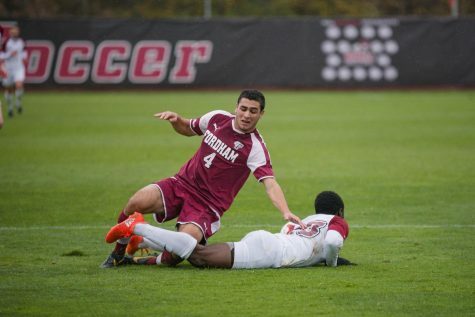 After a scoreless first overtime period, the Tigers won the game in double overtime on a man-up goal by Justin Mabus. 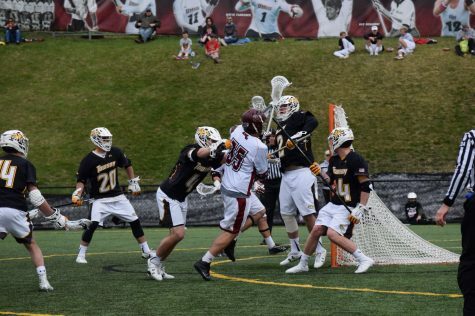 Thomas DeNapoli and Matt Lamon led the way for Towson with three goals apiece. 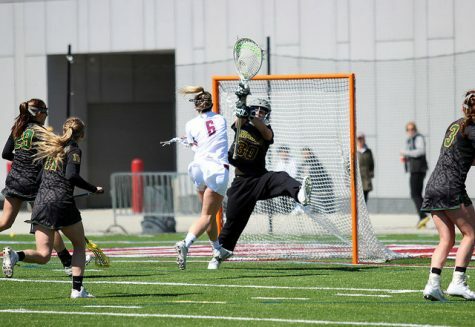 Towson’s improbable win extends its streak to four consecutive wins after starting the season 2-3. It improved to 3-2 on the road and are yet to lose a conference game. 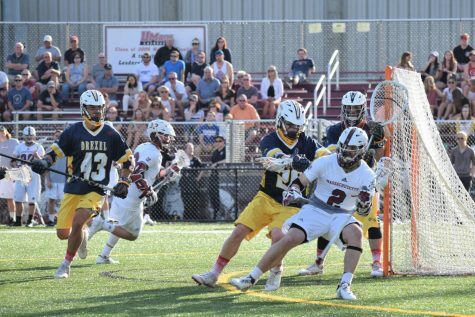 The Tigers are looking to finish strong in their final five games, and earn a spot in the CAA men’s lacrosse semifinals, which begin on May 2. They will try to keep the momentum going on Wednesday as they host UMBC. As far as the Pride are concerned, the loss dropped them out of the national ranks this week and they find themselves in a two-game losing streak. 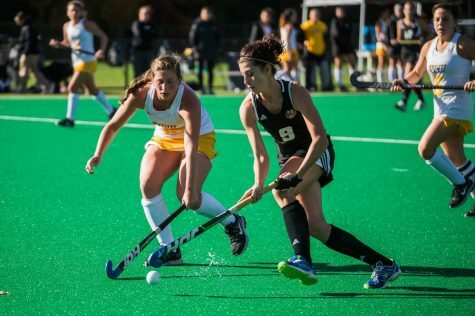 The loss to Towson was Hofstra’s second CAA loss of the season, and it still hasn’t played some of the conference powerhouses, most notably No. 2 Massachusetts and Penn State. Hofstra will look to rebound Tuesday night when it plays Dartmouth at home. Delaware lived up to its Fightin’ Blue Hens nickname Saturday night, as it fought all the way to the end in a tightly contested, 11-8, loss to Drexel. Delaware (3-7, 0-3 CAA) took a 3-1 first quarter lead, but the Dragons (5-5, 3-0 CAA) bounced back quickly, and scored nine of the next 11 goals to take a 10-5 lead with 5:20 seconds remaining in the contest. 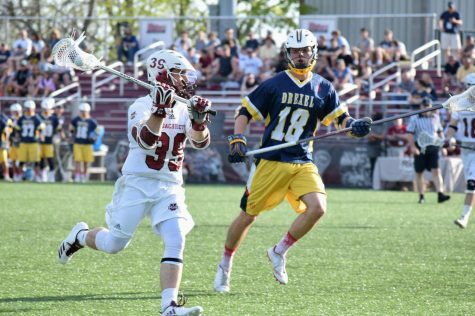 Robert Church took the spotlight for Drexel as he led the team with four goals. After a 1-3 start the season the Dragons have come roaring back, and won their past three conference games. The win extended the Dragons’ conference winning streak to three games, The road now gets tough for Drexel as they face No. 16 Penn State this Saturday No. 2 UMass the following week. Penn State came away with a convincing 13-8 win over Villanova on Saturday. 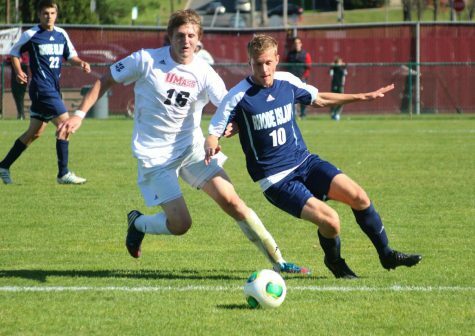 Jack Forster scored four times and Matthew Mackrides added three goals in the non-conference match for PSU. The game was tied at six at halftime before the Nittany Lions (5-5, 1-1 CAA) pulled away with a 4-0 advantage in the third quarter. Six different players scored for Penn State as they dominated the game at times. 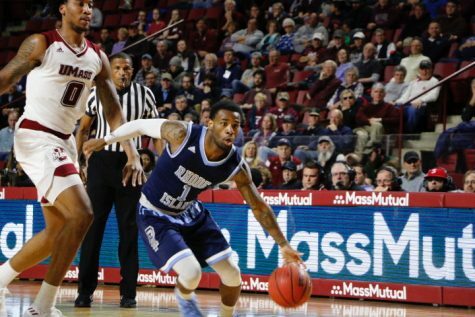 However, PSU must find some form of consistency – it has lost three of its last five – if it hopes to be a factor in a packed CAA tournament. If the Nittany Lions can hang their hat on anything it’s their ability to play on the road. They are 3-0 away from home with impressive wins versus Ohio State and Notre Dame.